Employees are often on the “front lines” observing or being told to participate in fraudulent conduct by the employer. This places the employee in a stressful and precarious position. Employees who work for employers who bill or charge the government (federal or state government) for goods or services may have information indicating that the employer is submitting “false claims” to the government for payment. In the healthcare industry, the healthcare provider-employer may be billing the government for services that were not in fact done or engaging in other fraudulent billing practices. In the defense contractor industry, the employer may be submitting time or materials costs to the government which are false. Fraud takes many different forms and over the years those who desired to commit fraud against the government have used countless schemes and methods of operation to achieve their fraudulent purpose for financial gain. When an employee becomes aware that the employer is engaging in fraud upon the government, the employee should immediately and confidentially consult legal counsel with knowledge and experience in the field of “qui tam”litigation. Qui tam litigation is a unique and complex area of litigation in which the employee files suit under seal (secretly) on behalf of the government, and then the government has an opportunity through a process of investigation to decide whether to intervene in the action to pursue recovery of the fraudulently-claimed monies. If the government does not intervene, the employee can still pursue the case. If the government does intervene, they become a party to the case and pursue recovery of the fraudulently obtained monies from the wrongdoers. The person who files the case and informs the government in a qui tam case is called the “Relator”. If monies are recovered from the wrongdoer, the Relator can receive a share of the recovered funds. Often the employer will settle the matter when the government intervenes and the Relator is able to receive a share of the settlement recovery. There are many complex and unique decisions that need to be made by the employee as to how he or she will handle the matter. Communications regarding qui tam cases need to be handled in a highly confidential and careful manner. Consulting legal counsel early in the process can help the employee avoid pitfalls and errors that can cost the employee financially, emotionally and legally. Legal counsel can guide the employee through the difficult decision and questions that the employee needs to address when he or she finds that the employer is engaging in fraud. A person does not have to be an employee of the fraudulent actor in order to be a Relator. Any person who becomes aware of false claims made against the government can potentially pursue such a case to recover the funds on behalf of the government and seek a Relator’s share. Whether the Relator is an employee or a non-employee, he or she should promptly and confidentially seek legal counsel for guidance in this complex field. Sigman & Sigman, P.A. 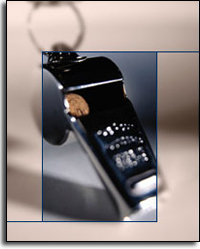 advises and represents “Relators” and whistleblowers in these matters.